Land Destroyer: Don't People Have a Right to Know the Truth? 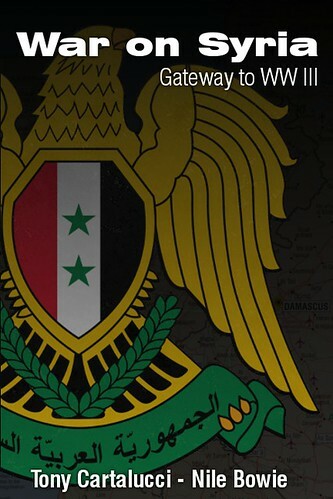 Don't People Have a Right to Know the Truth? 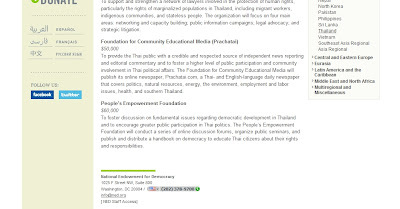 Foreword by Tony Cartalucci: Prachatai is just one of many so-called "independent newspapers" funded by the US government to propagate US State Department talking points. As a rule, these "newspapers" obfuscate their US funding by not disclosing it on their websites and neither confirming nor denying accusations that they are indeed US-funded propaganda outfits - rather they make suggestions that their accusers are merely "conspiracy theorists." These dubious "independent newspapers" supply a constant din of propaganda often cited by the corporate mainstream media and used to fuel US-backed opposition movements around the globe. Many well-intentioned people are drawn into the rhetoric used by these outfits which generally centers around issues of "human rights," "democracy," and "freedom," and are completely unaware of who really funds them and why. Images: Fair tweets made by original Prachatai founder Jon Ungpakorn and "Nation" journalist Pravit Rojanaphruk stating that Prachatai indeed needs to be more transparent. In Prachatai's case - an exposé regarding the US corporate fascist warmongers that fund their work has already been written and can be found here (includes Soros, Sigrid, and Rockefeller funding as well). It has generated a steadily growing chorus of concern regarding Prachatai's lack of transparency. Prachatai's original founder, Jon Ungpakorn, has recently expressed similar concerns after stating clearly he is no longer involved with the "newspaper." Journalist Pravit Rojanaphruk of Bangkok's "The Nation" newspaper, whose columns are frequently featured in Prachatai, has also called on Prachatai to disclose their finances for the sake of transparency. Even outspoken critics of the Land Destroyer Report, such as Andrew Spooner of Asia Correspondent concedes that Prachatai's funding must be disclosed. Spooner would go on to say "I was very surprised when you originally posted this fact and hope Prachatai are fully transparent about the details of this funding." 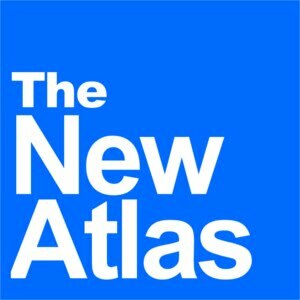 A propaganda outfit like Prachatai, clearly funded by the US government and repeating verbatim the US corporate-financier globalist mantra of globalization and "open society," is not likely to admit it is a propaganda outfit or exhibit any of the transparency and openness it in turn leverages against target nations. 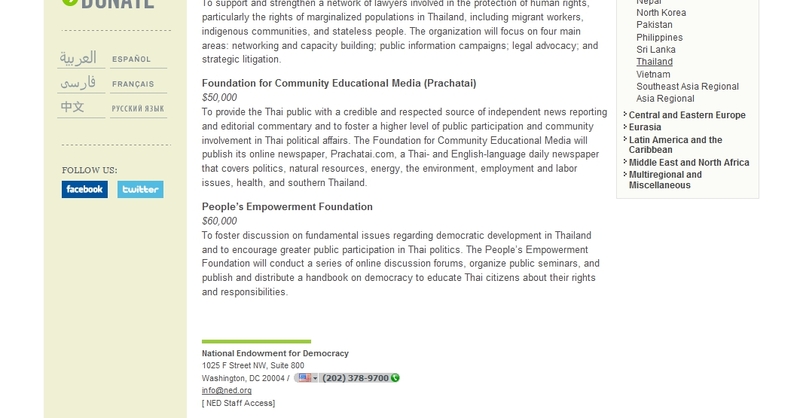 In fact, several letters have been sent by Land Destroyer to Prachatai raising very legitimate questions regarding their US government and US corporate-funded foundation funding and how they can then still call themselves "independent." These letters have gone wholly unanswered, and while journalist Pravit Rojanaphruk urges that Prachatai be given more time - one must ask themselves why this information hasn't been available all along, and even still, what sort of organization can dare claim to be journalistic or independent when funded by a foreign government? The following letter has been sent to Prachatai and is now being shared in the interest of spurring a much needed response in regards to Prachatai's apparent duplicity, feet dragging, and a general lack of transparency - the very sort of transparency it itself hypocritically demands from the Thai government but fails to provide its own "progressive" readership. Your tactics of obfuscating your funding from your readership is truly appalling. What's worse, is that you allegedly promised Khun Pravit Rojanaphruk of Thailand's The Nation newspaper that you would disclose your funding, but that it would take some time. However it now appears that you are spending your time instead to censor comments and block IP addresses of anyone who interrupts the theater you claim to be "independent journalism." I am asking you again how it is that you call yourself "independent" when not only do you accept money from foreign governments and foreign corporate-funded foundations, but hide this funding from your readership? You then actively censor comments that run contra to your reporting which is suspiciously similar to US State Department talking points - leaving one to conclude that instead of journalism, you are in fact publishing propaganda. I have raised very legitimate questions regarding your lack of transparency, questions echoed by your own founder Jon Ungpakorn and the Nation's K. Pravit Rojanaphruk, in two emails and you have failed to show any courtesy or interest in addressing them. I am left to conclude you are not only well aware of the true nature of the nefarious criminals that fund you, but are working in tandem with them to carry out their agenda. If I have concluded wrong - please, by all means correct me, and please explain why your funding is not available for your readership to view and why you have utterly failed to address a now growing chorus of concern regarding your lack of transparency and your true agenda. Don't people have a right to know the truth, especially when Prachatai is making bold, lofty claims of being "independent" journalists?